Nicholas Kumpf (left) and James Cepis with Roman Catholic High School in Philadelphia carry their double shell to practice on the Cooper River after last year's Stotesbury Cup Regatta switched venues because of high water on the Schuylkill. This year, the Murphy Cup regatta for college rowers is making a similar move. The 37th Murphy Cup Regatta will relocate to the Cooper River in Camden County on Saturday because recent heavy rains have made conditions on the Schuylkill adverse to rowing. Teams from about 30 colleges are scheduled to take part in the regatta, which is sponsored by Temple University. “The Schuylkill River is expected to crest between 10 and 11 feet high on Saturday morning, which makes the river unrowable,” said Camden County Freeholder Jeff Nash, liaison to the county Parks Department. Nash said Temple University contacted Camden County officials about changing the venue and the county agreed. The Murphy Cup, which typically attracts about 2,500 athletes and 2,000 spectators, joins other recent regattas that have relocated to Cooper River because of conditions on the Schuylkill. 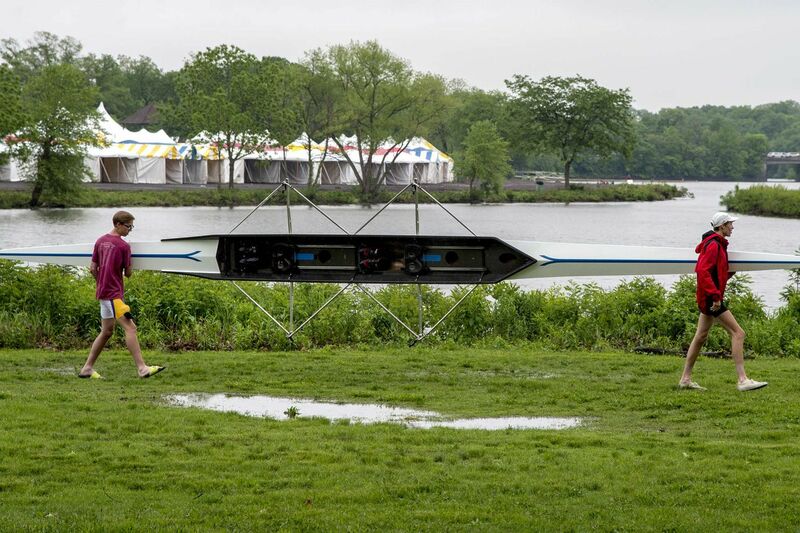 Last year, the Stotesbury Cup Regatta, the largest high school rowing competition in the world, moved to the Cooper River’s 2,000-meter straightaway course because of high water on the Schuylkill after heavy rains. The Cooper River, which has been a rowing spot for decades, has gained traction in recent years as a bigger draw, especially since Camden County completed a $10.5 million dredging in 2017. There have also been other improvements, such as a $2 million restoration of banks, and better connections between rowers and local hotels and restaurants. The course is bordered by five towns: Pennsauken and Cherry Hill on the north side, and Camden, Collingswood, and Haddon Township on the south. Water flow on the Cooper can be adjusted better than on the Schuylkill, reducing concerns about high water, rowing officials have said.